When you aim for the perfect restoration of a 1963 MGB Roadster, you want to think like a 1960’s mechanic. Due to a crash in 1964, our MGB was already a good ways to being as original as possible. Now we just had to clean her up and straighten her out. And after 39 years hidden away in a garage, we had our work cut out for us. It was the challenge of a lifetime, and we were ready to take it on. Any MGB enthusiast will tell you that despite its many pros, the MGB is less than waterproof. This is an open invitation for rust to take over, especially in the floor pan area where the water tends to gather. If it is really bad, the floor pan and the heel board reinforcing panel should be replaced. Although we tried to find all the original parts from British sports car parts dealers and specialists around the world, when it came to replacing the floor pan panels we had to enlist the skills of our world class constructionist, our Metal Magician, to make the new panels. 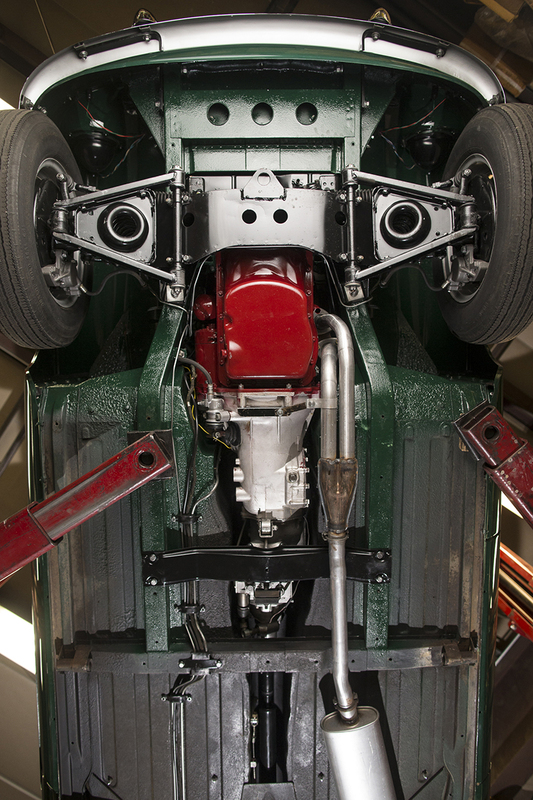 The results are awesome, and our 1963 MGB Roadster is as close to perfect as you can expect in 2014. We are incredibly proud of the restoration job we did on the 1963 MGB Roadster. This is why we are in this business. It’s not about how much time it took, or how much money, it is about attaining the perfect restoration of classic British sports cars. If you MGB or British sports car needs servicing, restoration work, new parts or an evaluation, then the team at Sports Car Craftsmen are the best in the industry. 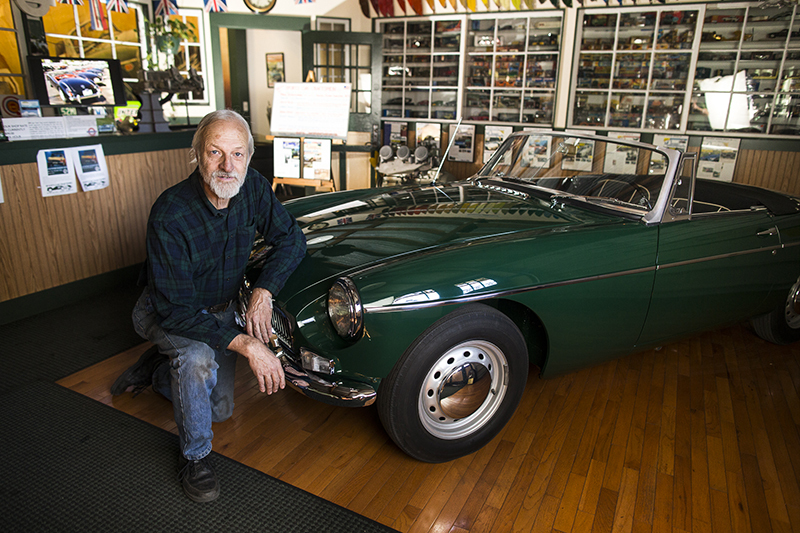 Stop by today and check out the restoration jobs we’ve already done, and our proudest moment: The fully restored 1963 Green MGB Roadster.